Austin Mayoral Forum - Austin Hotel & Lodging Assoc. 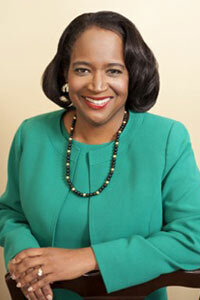 First elected in 2006, Sheryl Cole is the first African American woman elected to the Austin City Council. 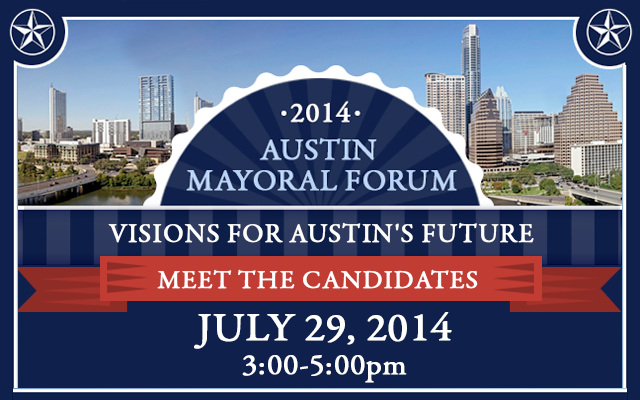 In 2011 she was elevated by her Council peers to Mayor Pro Tem and was re-elected for the third time in 2012. After the 2012 Affordable Housing bond failed, Sheryl lead the effort to cover the gaps in providing housing services to the poor and working class Austinites and secure a second successful bond passage in 2013. She has been a tireless advocate for the homeless working to identify sustainable policy solutions for the most vulnerable. A resident of Austin for more than 25 years, Sheryl earned her B.A. in accounting from the University of Texas and became a Certified Public Accountant in 1986, working for two years with the Big Five accounting firm Ernst & Young. In 1989, Sheryl returned to the University of Texas for law school, earning her J.D. in 1991 and joining the law firm Wright & Greenhill. In 1995, Sheryl became staff counsel at the Texas Municipal League, where she served until 2001. Married to Austin attorney Kevin Cole, Sheryl is the mother of three boys – Marcus, Nelson and Femi. The Coles live in the Wilshire Woods neighborhood, and are members of the Cherrywood Neighborhood Association. The family belongs to David Chapel Missionary Baptist Church. Sheryl is a past president of the Lee Elementary School PTA, a former Board member of Leadership Austin, the Austin Area Urban League, and Communities in Schools. Sheryl also served as Tri-Chair of the 2004 AISD Citizen Bond Committee, and was appointed by former mayor Kirk Watson to serve on the 1998 City of Austin Citizen Bond Committee. I have been lucky to call Austin my home for 36 years. I was born in Washington, DC, and my parents worked hard so that my brother, sister and I could be the first in our family to go to college. They wanted us to have more opportunities than they had. My dad died when I was 21; my mother followed him six years later. But they are with me today, everyday, and they have always served as my motivation to make sure others have the opportunities they gave me. I went to Princeton and UT Law School on scholarships and part time jobs. Within 45 minutes of first arriving in Austin, I was swimming in Barton Springs. I knew I had found my home. After law school, I devoted much of my practice to civil rights law. I defended workers and women facing discrimination and sexual harassment – hard workers who were being denied equal pay for equal work. When I won in court for Hispanic construction workers, they won the chance to operate the heavy equipment. That meant they could earn the higher pay and promotions they deserved. Later, I became chief of staff and general counsel for State Senator Eliot Shapleigh doing public policy and learning governance, fighting for increased public school funding, higher teacher salaries and greater environmental protections. We worked to fuel economic growth in eager but poor communities. 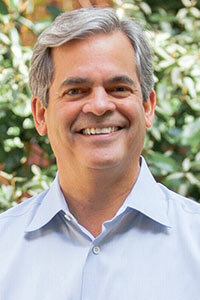 For over twenty years, I have worked with and chaired many of Austin’s large civic and non-profit boards. I have fought discrimination and promoted the benefits of diversity as chair of the Anti-Defamation League. As board chair of the Texas Tribune, I helped build a business model for the thoughtful, factual and independent media Texas needs. I have worked to expand opportunity for girls, women and first-generation college students as a board member of GEN-Austin and Breakthrough. At the Long Center and as chair of Ballet Austin, I have helped ensure that all our communities have access to the arts. Throughout my career, I have defended renters and landowners when the government or big corporations were unfairly taking their property. I have spent a lifetime fighting for equity, access, fairness and opportunity. I have protected working families, small businesses and women from discrimination and abuse. I have defended families in the Blacklands neighborhood on the east side of I-35 when the University of Texas was expanding. I have defended small and large businesses of all kinds across the state, over a dozen churches, and environmental organizations — and I have seen that the government does not always work for everyone. That is why I will work hard everyday to ensure that our city government works for all of us in Austin. Council Member Mike Martinez has devoted his entire career to public service and working families. Before taking office in 2006, Council Member Martinez served as an Austin firefighter for 13 years and in 2003, was elected the President of the Austin Firefighters Association where he led a successful campaign to secure collective bargaining rights for Austin firefighters. He also served as the Chair of the Austin Firefighters Association Political Action Committee. Council Member Martinez was sworn in as a City Council Member on June 20, 2006. By taking a proactive approach, Council Member Martinez has consistently worked to advance issues for the working people of our community. He has strived to ensure that Austin maintains its strong arts and music culture, enhance public safety, and improve quality of life and availability of affordable housing city-wide. Council Member Martinez has sponsored resolutions to lead Austin into being a sweat shop-free community by supporting goods that emphasize humane and legal labor practices. Council Member Martinez sponsored a comprehensive rewrite of the local campaign finance ordinance that improves transparency, restricts contributions from PACs, and provides clear ways to enforce campaign finance laws..
Council Member Martinez has made preserving the historic character of Austin a priority, and has worked diligently to find creative solutions to tackle the problem of rapidly rising property taxes in East Austin. In December 2006, Council Member Martinez sponsored a resolution that saved historic Oak Springs in East Austin from development. In January 2007, Council Member Martinez sponsored an ordinance to create a Homestead Preservation District, which combats the effects of skyrocketing home values by using a portion of increased property taxes to fund innovative affordable housing efforts in East Austin. 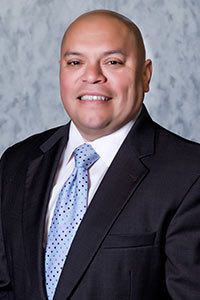 Council Member Martinez serves as the Board Chairman for Capital Metro, as well as the Chair of the Public Health and Human Services and the Minority-Owned and Women-Owned Business Enterprise and Small Business Council Subcommittees. He is also a member of the Judicial Committee. Council Member Martinez is a long-time resident of East Austin, where he lives with his 15 year old son, Alejandro, his wife, Lara Wendler, and their 1 year old son Diego. Randall Stephens is running for Mayor of Austin, Texas because he loves his home, has a life-long career solving sometimes complex systemic problems, and has a vision for spreading business and residential development throughout our city. 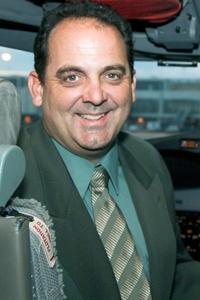 Randall has had a unique career spanning over 35 years of “heavy jet” aircraft maintenance, where his leadership began with becoming a noncommissioned officer in the U.S. Air Force, then as a technician and crew chief at American Airlines; and, having been an employer in Austin, Texas as CEO of “AdBirds Design & Market Inc.” – a web development, and online advertising business also known as adbirds.com; and, as an aircraft broker and registered military supplier as “TEJAVIA LLC” since 2001. Randall also solved problems by getting Russian helicopter parts to U.S. operators in Afghanistan. Randall is celebrating his 20th anniversary, married to Dr. Elena Stephens, a family practice physician with Student Health Services at the University of Texas. – Randall knows “hook’em” quite well, rides a bicycle across country, and sometimes from Avery Ranch to ABIA where he is still employed by American Airlines. Randall says; “There is no such thing as a 40 hour week”. The third son of John Walter Stephens and Marice Simmons Stephens, Randall was born on November 27th, 1960 in Ardmore, Oklahoma. A Texan since 1987, he enjoys recreational sports, sailing, cycling, hiking with his wife and dogs more than anything, reading business books, history, and the occasional biography. Randall also enjoys learning phrases in foreign languages, cooking, gardening, and sharing home grown vegetables. Oh, and trains. He’s had enough of planes. Randall Forrest Stephens seeks to bring his diverse experience into public service. 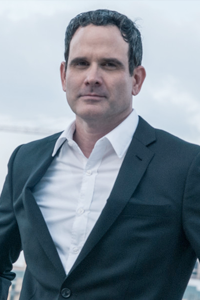 Texas Alternative Wind Energy Founder and Austin Local business Owner Todd Phelps’ professional experience includes the aforementioned as well as consulting to Better Healthcare on merging technology and medical billing industries. Phelps’ experience includes High Level Energy Negotiations, Intregral Kinetic Solutions Concepts, Lending Projects, Farming, Ranching, and Property management. Phelps is currently involved in environmental conservation efforts including a sustainable NON-GMO terraced irrigation farming project. Phelps is also involved in clean air initiatives and sustainable and clean water initiatives throughout the high plains and local Austin area. Phelps has a long history of work in the Arts and the Film production industry. He is a member of the Screen Actors Guild an AFL-CIO affiliate. Other affiliations include the American Federation of Television and Radio Artists and Phelps is a BMI recording Artist. Phelps also owns an Event Production company and has been very involved in charity related work with injured soldiers and their families through work with Salute America’s Heroes, Operation Finally Home, and the Fisher House. In addition to multiple events with the Military and related charities, Phelps has donated time to the Ronald Mc Donald House, United Way, The Christmas Bureau and hosts of other charities through out his notable career. AH&LA is a non-profit trade association of hotel managers and industry suppliers. Our goal is to keep our members up-to-date on local business trends, co-operatives, marketing opportunities and regulatory and legislative changes that could impact the way you do business. Being a member of Austin Hotel & Lodging Association you will help influence and improve the hotel and lodging industry in Austin and surrounding areas as well as having the opportunity to network with other industry professionals and leaders.